﻿﻿﻿﻿At the ICFF yesterday, amidst new designs for Bernhardt Design, sat Industrial design icon, Charles Pollack. I stood in pure amazement!! 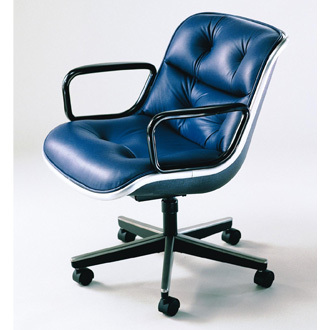 Before me is a mid-century legend who designed the Pollack-chair, the quintessential executive office chair known for its versatility and comfort! Its timeless and contemporary elegance from 1963 still stands the test of time; as it is still available at Knoll in variety of luxurious fabrics, leather and finishes. 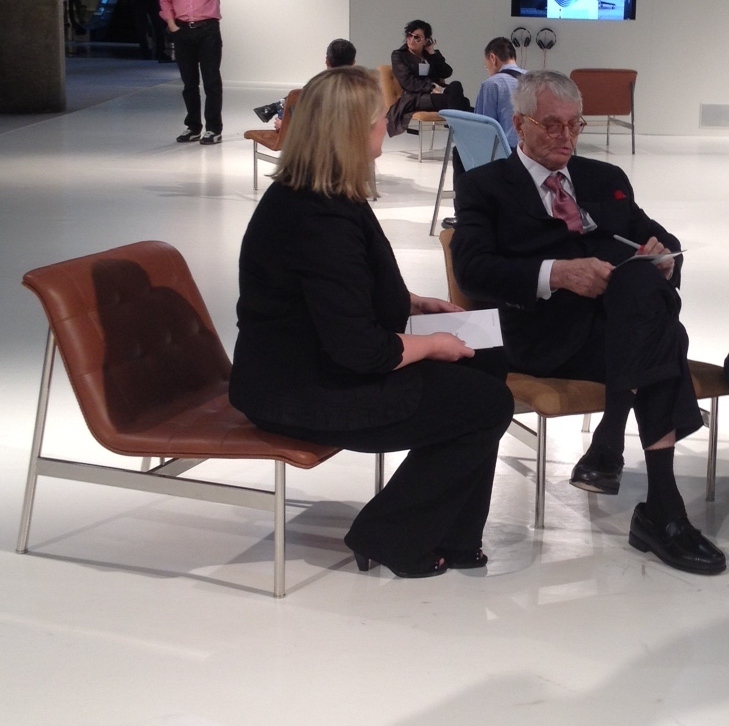 Standing there I thought,'why is Mr. Pollack in the Bernhardt Designs booth?' 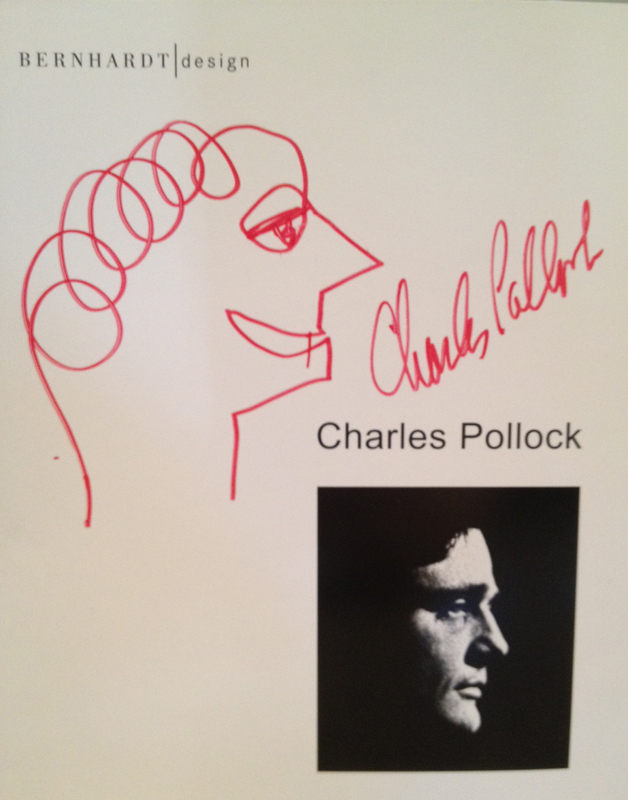 Well, Jerry Helling, President of US-headquartered Bernhardt Designs turns out to be a huge fan of Mr. Pollack and he tracked him down. 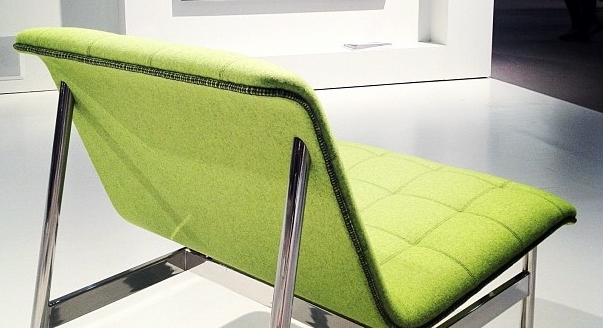 Even though Mr. Pollack has not designed chairs in at-least 30 years, the result of their Bernhardt-Pollack collaboration resulted in the magnificent CP lounge chair. What a great looking chair! It features loop-stitching with hand–quilted panels of leather, suede or felt, supported by a modern polished stainless steel frame. I loved the black stitching on the edges of the lime green felt! Like its predecessor, it is pure sculpture!